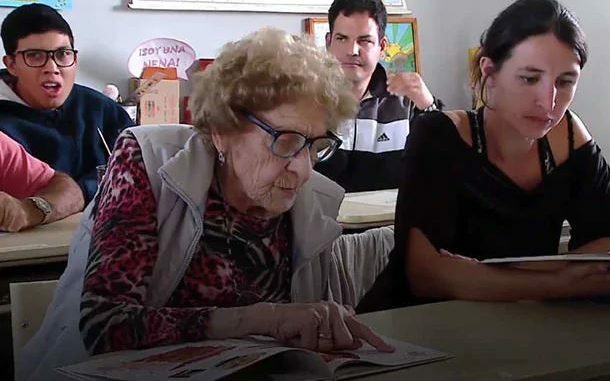 A woman from Latin America’s Argentina got her self winning the internet when she decided to get back to school at the age of 99. Eusebia Leonor Cordal dropped out of school after losing her mother at a very early age. Eusebia decided to attend the Primary School for Adults of Laprida and continue her education. Eusebia made the decision when she turned 98, and hasn’t missed a single day of school since then. Every Tuesday, Wednesday and Thursday, one of her teachers picks her up and takes her to school. “When you get older you lose a lot of your memory. I knew the schedules very well, but when I came here I had forgotten everything, including how to write and read,” Eusebia was quoted by local media.